The Centre Point Silom Hotel is a popular four star hotel located towards the end of Silom Road, close to the Chao Phraya River. The hotel is conveniently located close to many of Silom’s most popular shops and a 10-15 minute walk from Soi Patpong and Silom nightlife. 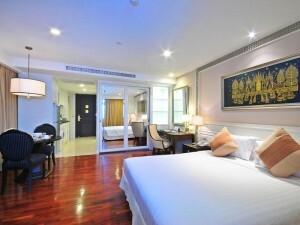 Rooms in the Centre Point Silom Hotel are large, luxurious and comfortable, with excellent cleaning and free Wi-Fi Internet access. 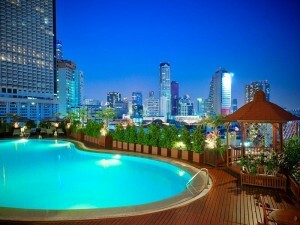 The hotel’s pool has a wonderful view of Bangkok. Highly recommended for people seeking an affordable, high quality four star guest friendly hotel that’s close to Silom’s nightlife and shopping.